WASHINGTON — President Barack Obama has signed a one-year extension of several provisions in the nation’s main counterterrorism law, the Patriot Act. 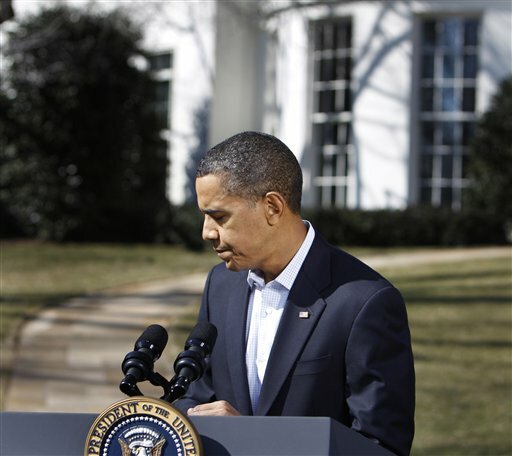 Provisions in the measure would have expired on Sunday without Obama’s signature Saturday. The act, which was adopted in the weeks after the Sept. 11, 2001 terror attacks, expands the government’s ability to monitor Americans in the name of national security. – Authorize court-approved roving wiretaps that permit surveillance on multiple phones. – Allow court-approved seizure of records and property in anti-terrorism operations. – Permit surveillance against a so-called lone wolf, a non-U.S. citizen engaged in terrorism who may not be part of a recognized terrorist group. Obama’s signature comes after the House voted 315 to 97 Thursday to extend the measure. The Senate also approved the measure, with privacy protections cast aside when Senate Democrats lacked the necessary 60-vote supermajority to pass them. Thrown away were restrictions and greater scrutiny on the government’s authority to spy on Americans and seize their records.